Ryanair has carried out its threat to quit Copenhagen airport in a dispute with trade unions that threatens to drive the airline out of Denmark. The airline also repeated its pledge to close its base at the country’s Billund airport on Friday if union action is not called off. Danish unions have claimed that Ryanair cabin crew earn less than half the wages of rival local low-cost airlines. 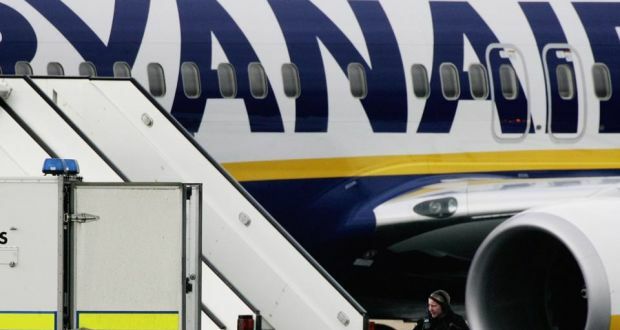 They won a ruling in a labour court this month that allows them to strike and blockade Ryanair aircraft if the airline refuses to sign a collective agreement with staff. Eddie Wilson, the airline’s personnel director, said that closure plans at Billund would go ahead unless the unions responded by this evening. “We are sad because we have had a successful base for three years in Billund without problems, but we are being blackmailed,” he said. More than 100 staff would relocate in Europe, Mr Wilson added, although Ryanair would continue to fly from Billund. The union called the threat a “media stunt”. “For just DKr37 [€4.96] extra per ticket, Ryanair could get an agreement,” the union told Danish business daily Borsen. Ryanair’s sole Copenhagen-based aircraft will now operate out of Kaunas in Lithuania, but the airline will continue to fly to Copenhagen.